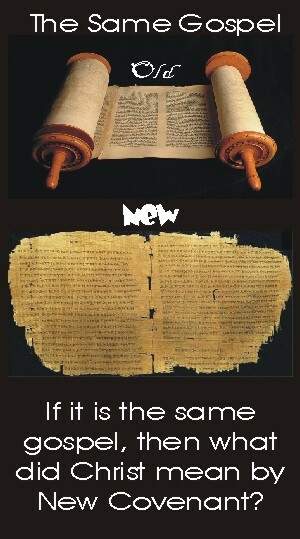 Showing how our gospel is not just New Testament, rather how our New Testament gets its gospel from the Old Testament. glasseyedave	. our gospel is Old Testament	. How much Old Testament is in the New Testament?, Is the Old Testament part of the gospel?, The gospel according to the gospel, The Gospel the church refuses to believe, What is the timeline of God's grace? I think that the discussion of the two covenants, the Old and New Testaments, needs to be looked at from a different light than the traditional understanding of these covenants, in order to understand them better. The following are truths that I hold to be true concerning our gospel. 1. There is not more than one way man is imputed righteousness in scripture. I do not know how much you read my blog, but I have been very desirous to converse specifically with you about things I see in scripture. I wish to address your comments in a more formal manner than just another comment upon comment that sometimes gets overlooked. Especially concerning such important fundamental truths about the hope held out to us in the gospel. I hope my addresses to your comments will stir a lot of contemplation and a study of scripture by those who observe this conversation between brothers. I wish to say, I like your summary of where the crux of the matter is for those who put their hope in Jesus Christ. For this truly is the heart of the matter. Where oh where is righteousness found? When we read the book of Romans we come to a great passage of scripture. Paul lets the reader know that the gospel is God’s power first to the Jews then the gentile for salvation. To be more specific it is the gospel of Christ and Christ alone that Paul is describing as the gospel that is the power of God to save men. Speaking of this gospel of Christ, Paul lets us know that in this gospel a righteousness of God is revealed. We would tend to think of this gospel of Christ in context to our New Testament writings and conclude, of course. Paul however would not have our perspective of the gospel. He did not have a New Testament to preach from. Scripture never records any writers of the New Testament as preaching the gospel from any document, parchment, scrap piece of paper or rough draft of our New Testament. But instead we have recorded for us where oh where these men of God found a righteousness revealed apart from the Law that is the power of God to save men. Paul testifies to the truth when he says a righteousness apart from the Law is revealed in our Gospel. But did you know that Paul preaches a righteousness apart from the Law from the Law. Confusing? Paul taught from the Law, the very thing we can not be counted righteous before God by following, a righteousness apart from the Law. The Law testifies against itself in that it shows Jews and Gentiles a righteousness from God not found in observing the Law. The gospel that Paul brags is the power of God unto salvation is the gospel the Law and prophets witness to. We see this consistency when we compare the book of Romans, where we find this teaching, to what he preached when he finally made it to Rome. In the last chapter of Acts we find Paul teaching not from the rough draft of our New Testament as his gospel, but the same old boring Law of Moses and the prophets. Exactly where he told the Romans to find a righteousness apart from the Law, there he still preaches from when he late in his life preaches in Rome. Paul considered the gospel revealed in the Law and the prophets the testimony of Jesus. When he preached from these he was preaching Jesus. Again we have no testimony that Paul or any other New Testament persons considered the gospel to be anything other than where we find a righteousness revealed that is apart from the Law. This being the Law and the prophets. Our New Testament is so consistent is this understanding that the Law of Moses and the prophets revealed a righteousness from God that the writer of Hebrews considered those at Mt. Sinai to have received the gospel he preaches in his letter. In the context of those who received the Law, he lets the reader know that this gospel did them no good because they did not believe. This is why Paul, speaking of the Jews, teaches they tried to do exactly the opposite of the gospel found in the Law of Moses and the prophets. They rejected the righteousness of God apart from the Law, which was witnessed by the Law. 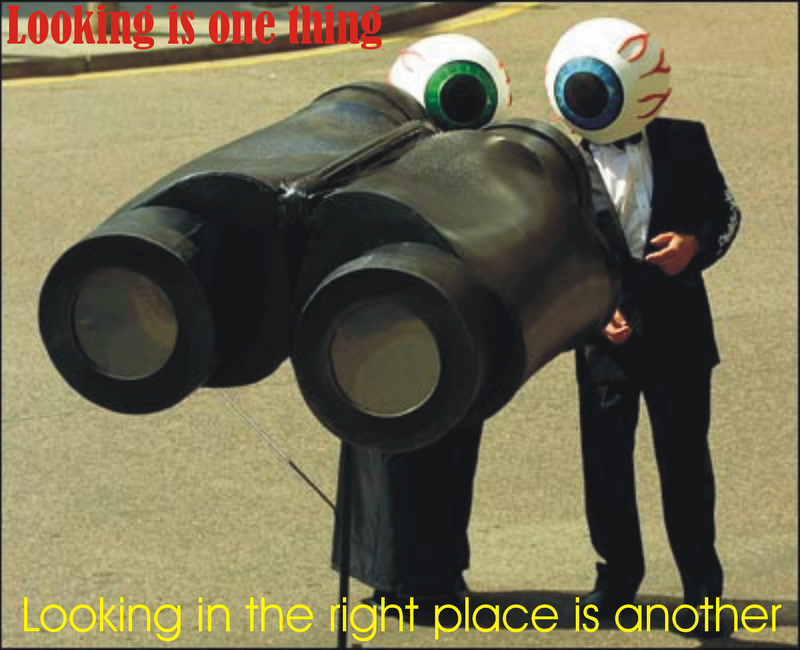 Instead they chose to find righteousness by observing the Law. They in their ignorance of the witness of the Law of Moses and the prophets concerning a righteousness apart from observing the Law, sought to establish their own. They did not submit to the righteousness of God. For they being ignorant of God’s righteousness, and going about to establish their own righteousness, have not submitted themselves unto the righteousness of God. Next time you read, say or hear someone quote Romans 1:16 take note, Paul has no concept of any other gospel than what was witnessed by the Law of Moses and the prophets where a righteousness from God is revealed in the gospel of Christ. This is why here at The Gospel According to the Gospel I spend time writing about this gospel found in the wittings of our New Testament and its impact on our understanding of our own gospel. Reading through my post will reveal this gospel that Paul and others recognized and left for us in their writings. The implications of this gospel they preached has become the gospel the church refuses to believe. glasseyedave	. 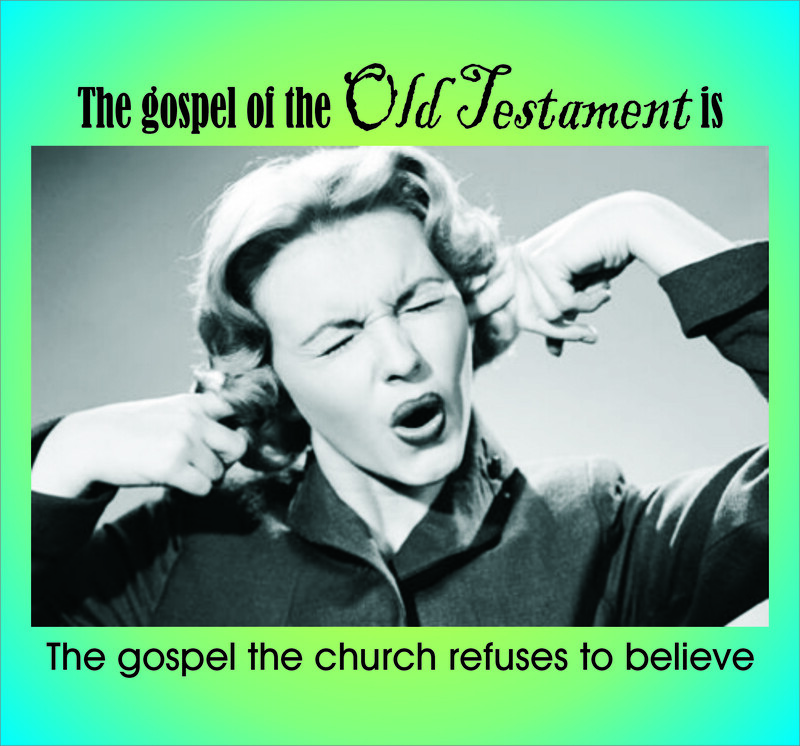 our gospel is Old Testament	. Abraham, Arminianism, born again, Bride, Calvin, church, circumcision, doctrine, Gospel of Mt. Sinai, Grace, imputed righteousness, Moses, New Testament, promises, repent, rightouseness, sin, The Bride, the church, The gospel according to the gospel, The Gospel the church refuses to believe, What does circumcision mean, what does it mean to be imputed righteousness? Gospel of the Old Testament, What was the purpose of circumcision? Many good people teach that the Old Testament is a shadow and a type for our New Testament. There is no weight put in the gospel we see in the Old Testament. We primarily look to the New Testament to be our gospel and leave the Old Testament as something as a side dish or fine wine that brings out the flavor of our gospel. The New Testament however does not look at itself as the gospel but strangely it looks to the Old Testament as the gospel. Hebrews comes right out and says this. Call it Paul, call it Apollos or somebody else, the writer of Hebrews understood and expected his readers to understand the gospel we hope in was also preached to those at Mt. Sinai. Of course we know Peter didn’t preach from the New Testament on the day of Pentecost but he preached the gospel from the Old Testament, our gospel, as fulfilled in part through Christ. To fast forward for expediency, we look at Paul in the last chapter of Acts preaching our gospel from the Law of Moses and the prophets, not from some New Testament scraps and parchments. He did it from the dry and dusty Old Testament. So with this understanding The gospel According to the Gospel advocates that part of the gospel that Paul was teaching in Rome, in the last chapter of Acts from the writings of Moses, is exactly what he has given us in the book of Romans. Paul, speaking from Moses’ books lets us know that God imputed Abraham righteousness and the seal of this righteousness is circumcision. The consistency of the Old Testament gospel is found in his other writings as well. Paul teaches us gentiles, that we are now included in this gospel found in the writings of Moses. Through Christ we are partakers in the one blessing given to Abraham through which we can receive the Holy Spirit. This one blessing is the blessing of circumcision, imputed righteousness. To assume we can receive the Holy Spirit through any other means other than having our sins not being held against us, to assume that Christ came for some more pressing purpose than to take the sins of the word upon Himself would be preposterous. There is only one blessing that Paul teaches we gentiles can have with Abraham and this is imputed righteousness. This is why we see the consistency of the gospel Paul preached from the books of Moses when he says that Christ was a minister of circumcision. Some want to translate this to mean minister to the Jews and not minister of circumcision, because they see circumcision as a seal of Jewishness, not as a seal of righteousness as Paul taught from the gospel of the Old Testament. This translation is in direct contrast to what Paul has already taught us in earlier chapters of Romans. Circumcision is a seal of imputed righteousness. Now I say that Jesus Christ was a minister of the circumcision for the (1)truth of God, to (2)confirm the promises made unto the fathers: And that the (3)Gentiles might glorify God for his mercy; as it is written, For this cause I will confess to thee among the Gentiles, and sing unto thy name. Jesus being a minister of circumcision confirms what Paul said earlier, that circumcision is a seal of imputed righteousness. Jesus is in the business of paying for sins and imputing righteousness. This fact He is a minister of circumcision does three things. First of all it confirms the consistency of our gospel found in the Old Testament as truthful for which we can have certainty to put our hope in. Secondly, Jesus being the minister of circumcision confirms the core of the message of our Old Testament gospel, this being Christ died to save sinners. By confirming the promise to those fathers of the Old Testament which was given by an everlasting covenant, Christ affirms circumcision as a seal of righteousness. Christ affirms circumcision by fulfilling the payment for sin, to which the fathers long to see in their day. Christ is the fulfillment of circumcision, that being imputed righteousness. Thirdly, not only is Christ the fulfillment of circumcision to the Jew but, as Paul states in his gospel, we gentiles are now included in the blessing of Abraham. We gentiles too will glorify God for His mercies towards us through Christ being a minister of circumcision unto us. We too through Christ share in the imputed righteousness of circumcision even though we are uncircumcised. We gentiles now through Christ share in the blessing of Abraham concerning circumcision. For God has circumcised our hearts. Isn’t it a wonderful thing how the true gospel of scripture flows so beautifully? Isn’t it wonderful to know our gospel is all of scripture? But understanding this, how do you think the realization of circumcision being a seal of imputed righteousness affects our gospel? It does in many ways concerning election, eternal security, faith, backsliding and all other issues pertaining to the Christian faith. But are you ready for the gospel the church refuses to believe? The people of Israel were given the seal of imputed righteousness, just as we have, but what did they do with it? Did they have eternal security? What can we learn from their election? What were the consequences of their backsliding? How differently does the New Testament consider their faith from what we profess today? Remembering we share in the gospel they had, the blessing they had, and are grafted into their promises as an unnatural branch. We have nothing to stand alone on in our New Testament, outside of the gospel we find in the Old Testament. But are you ready for the gospel the church refuses to believe? In scripture we find a righteousness by faith that did not start in the book of Matthew. Instead it starts with a covenant given to Abraham. This teaching comes from our New Testament writers. Many a Bible believing believer has been told or left with the impression that men could not be credited righteousness until Jesus died on the cross. This anti-biblical view in reality is an imposter gospel that has replaced The Gospel According to the Gospel we find in scripture. There is another anti-biblical view that is accepting by many a Bible believing believer. This is again the belief our gospel starts in the book of Matthew. However the New Testament writers defend a gospel that started long before the book four gospels. They defend a gospel, or as they say, our gospel that was preached in the Law of Moses and the prophets. 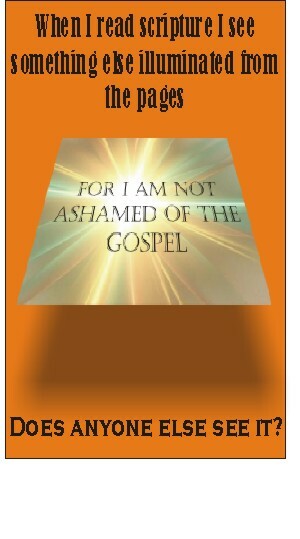 The second truth is our gospel was preached at Mt. Sinai and foretold to Abraham in advance. When the Old Testament saints put their hope in our gospel they had a faith that could save them. Some may ask, but how could they have our gospel? How could they have the same hope of Christ and salvation that we do before the cross? Well, I would like to add more evidence that our gospel was well known before the four gospels were ever written. Jesus Himself teaches us that in the prophets we can find a gospel about the messiah who will suffer, die and be raised to life again. This is the gospel they had in the Old Testament and ironically what we have in the New Testament as well. They had the credited righteousness of Abraham just as we do today. They in the Old Testament had the hope of salvation when they believed in the gospel they had preached to them, just as we do today. Which brings me to my third scriptural truth. There is a belief by nearly all Bible believing believers that is anti-biblical. This is the belief that men posses salvation, instead of hope for salvation as taught in scripture. Just as the New Testament teaches all believers, our God is one who speaks things that are not as if they were. Yet we reject this in our gospel and say we have what is not when it is spoken of as if it were, concerning our salvation. When then ignore the hope of salvation held out in the gospel or make up the three tenses of salvation which goes against our gospel again. For in this hope we were saved. But hope that is seen is no hope at all. Who hopes for what he already has? But if we hope for what we do not yet have, we wait for it patiently. We have rejected all those scriptures that speak of the hope of salvation in scripture just as we have rejected those scriptures that speak of imputed grace given to Abraham and his descendants along with all those scriptures that speak of our gospel preached in the Old Testament. It appears to me there are a lot of Bible believing believers who believe in the teachings of men more than what God has given us in scripture. Since we have such anti-biblical beliefs in the church, and we ignore the three Biblical truths about our gospel, what good is the gospel we the church have put our hope in, since it has strayed from The Gospel According to the Gospel.